Big Sky, Montana, features soothing, Zen-like natural beauty and Three Summer Lodging Packages from local Ranches. Montana is renowned for its breathtaking natural beauty and Zen-like atmosphere. Big Sky features three perfect, soothing lodging packages from Big Sky-area ranches. Montana is renowned for its breathtaking natural beauty and Zen-like atmosphere. 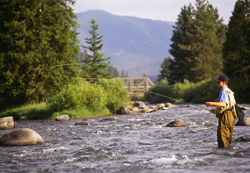 It’s where people escape the hustle and bustle of the “real” world, and savor Montana’s serene, scenic and completely laid-back natural environment. Big Sky visitors can also view geological wonders unlike anywhere else in the world in Yellowstone National Park. The Park starts just 15 miles from Big Sky, and the West Gate Entrance is only an hour away. Guests can spot an abundance of wildlife living undisturbed in a picture-perfect natural setting. They can relax and take a refreshing soak in one of Big Sky country’s numerous natural hot springs like the Boiling River or Chico Hot Springs. The National Park Service's Centennial Celebration is August 25, 2016. Another eye opening experience is to take the Lone Peak Expedition to the summit of Big Sky's Lone Peak Mountain at 11,166 feet via a 15-passenger tram. Visitors stand at what seems like the top of the world and enjoy mind-blowing panoramic vistas. With 360 degrees of views, guests can see three states, two national parks, endless mountain ranges, winding river valleys, and untouched forests. Rainbow Ranch Lodge – Romance Under the Rainbow is the perfect relaxing getaway. This package features a Riverside room with a private deck overlooking the Gallatin River. Add in four-course dining and sparkling wine and guests can have a night to remember. Prices start at $312.20 per night per couple (including taxes). Package valid through September 30. 320 Guest Ranch – Take advantage of the Summer Romance package at 320 Guest Ranch. 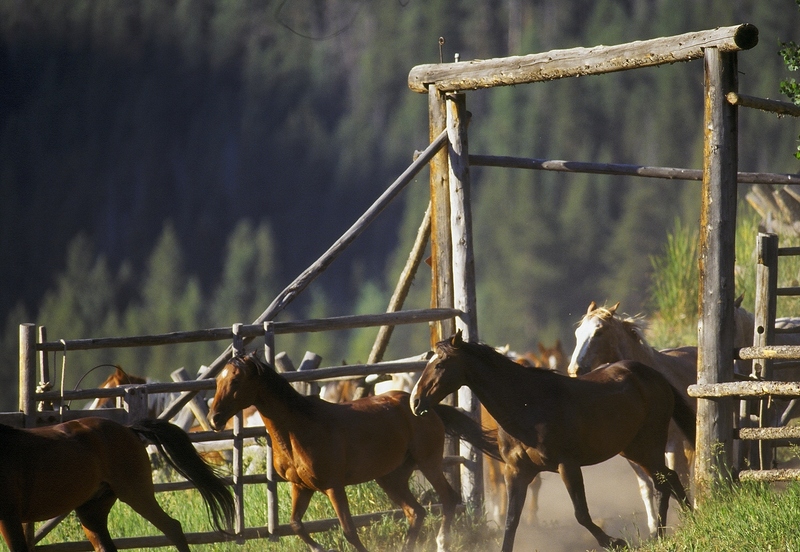 Located just south of Big Sky, the 320 Guest Ranch delivers the authentic western lifestyle. Stay in a deluxe log cabin with a king size bed. Dine at the 320 Steakhouse and enjoy a meandering trail ride through the nearby mountains. Starting at $489 per night per couple. Package valid through September 30. Lone Mountain Ranch – The Cowboy Bed & Breakfast is the ideal weekend retreat. Stay in an authentic cabin. Enjoy fine dining, trail rides, and stunning views of Lone Peak Mountain. In the evening, sit back and gaze at the stars, warming to a crackling campfire. Just $349 per night per couple. Package valid through October 15. The Bozeman Yellowstone International Airport is located just one hour north of Big Sky. This cozy, lodge-like airport features direct flights to and from major U.S. destinations – making Big Sky easy access for everyone. For more information about Big Sky, Montana, contact Alex Mansfield, Visit Big Sky’s Marketing Manager, at 406-995-3000 or at alex(at)bigskychamber(dot)com.